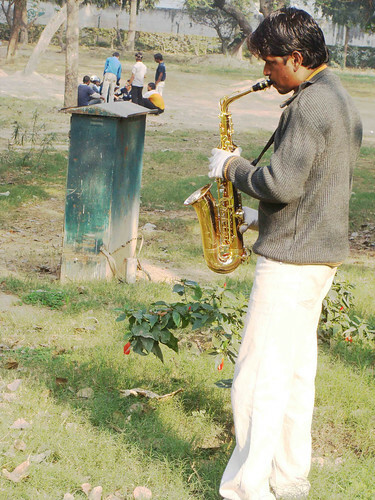 He wants to be the world’s best saxophone player. His father is a sweeper. His grandfather was also a sweeper. His great-grand father too, was a sweeper. 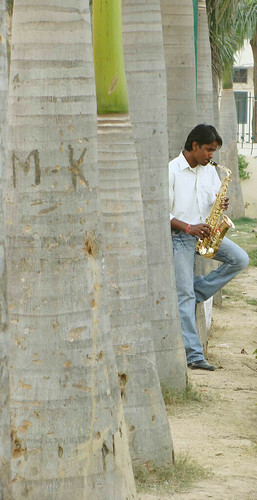 But he wants to be the world’s best saxophone player. 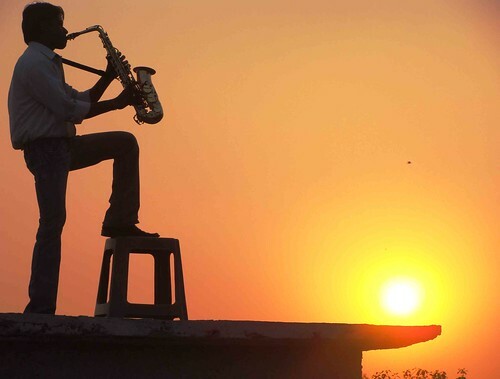 However, to be one of the best players, one needs hours of practice and that’s not possible in a two-room flat shared by seven family members. But you can always trust an artist to find his space. 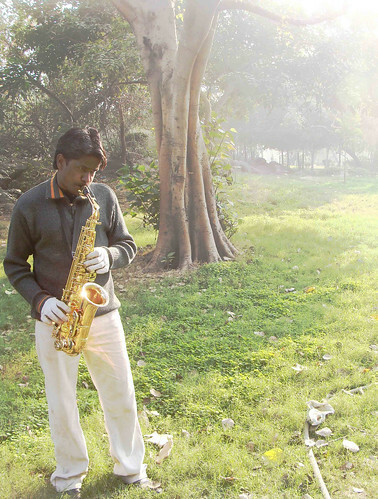 Each day Mr Salwan walks up to the edge of the colony, climbs the dump yard and walks over to his secret hideout — Bhooli Bhatiyari Park, a garden with overgrown grass and unwieldy trees. 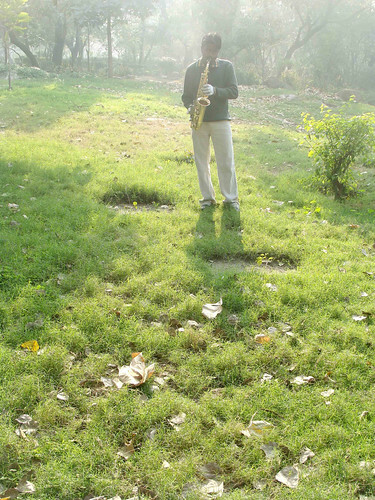 There, in the company of birds and stray dogs, Mr Salwan plays ragas. The family was initially unsettled when the son took up the instrument but now dad advises that “if it has to be music, I should do it with full lagan.” Even if it comes at a high price. 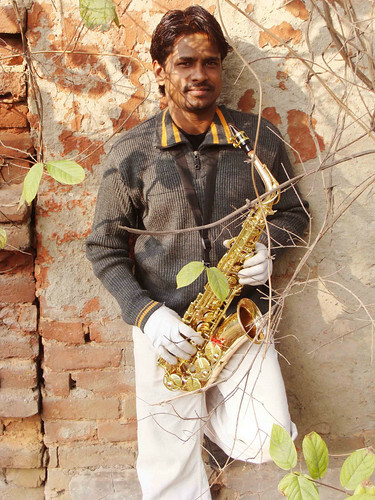 In 2008 Mr Salwan decided that he needed an imported saxophone that cost a bomb — Rs 50, 000. After it became clear that whatever the boy had made by playing in clubs and hotels was not enough, the family pitched in with the rest of the amount. 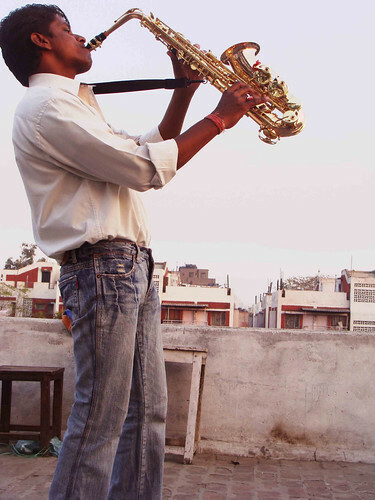 Once bought, the ‘Made-In-USA’ saxophone was taken to a Hanuman mandir in nearby Paharganj, blessed by the priest, and now everyone hopes that this brass instrument lifts the boy high in the world. Taken out of its velvet case, unwrapped from the white silken cloth, the sax is beautiful to look at. Under the glint of the afternoon sunlight, its golden trumpet twinkles, just like Mayawati’s birthday jewels. Mayawati is India’s most popular Dalit leader, often disdained in upper caste Delhi living rooms as a corrupt politician. Barack Special – What’s Obama to Me? those who love music find no better nerve soother. my dad puts on his music on full volume whenever hes particularly stressed out. it gives us all a headache, but he emerges a smiling man.i never learnt to play any musical instrument. i believe it truly nourishes the soul.as far as sanjay in concerned, i wish him all the luck in life. 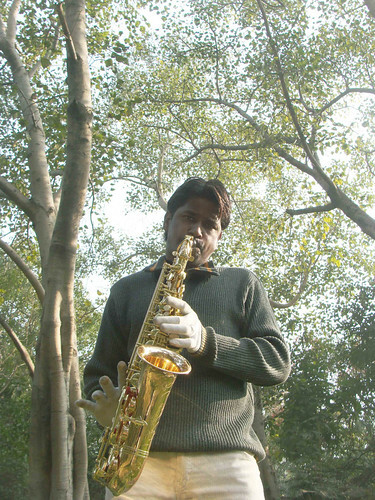 Good luck to Sanjay, if you post here where he plays, I’ll try to look him up when I’m in Delhi next. BTW, looks like he paid $1000 for his sax .. a quick search on amazon shows he might have overpaid immensely. 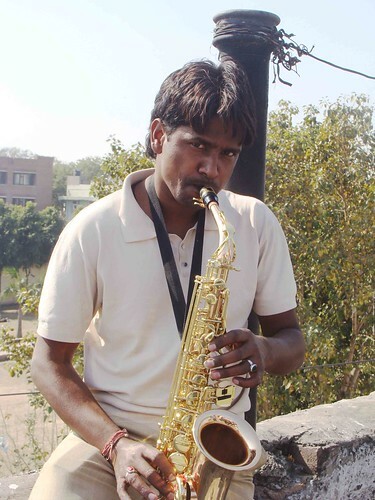 all the best sanjay, the day is not far away when a young sax learner will say i want to play like Sanjay S.By the way, thats a sax with an A.